At the start of the year we posted a few articles on Vixen’s Polarie (FirstLook, Setup) and accessories. To make sure the Polarie was field-ready, we custom-fitted it with a waterproof carrying case. The first opportunity we got, we took the unit out for its FirstUse. 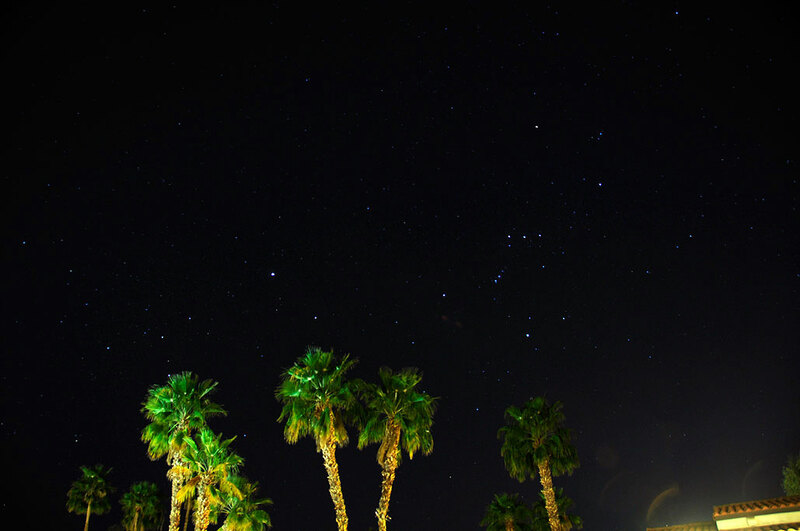 It was out in the desert in Palm Springs and we got a few decent shots of Orion. We learned a lot about the Polarie Star Tracker on that L.A. outing. Our main realization was that we could have used a bit more instruction on how to set up the Polarie. Setting up the Polarie wasn’t difficult, but it has a few quirks and does require a bit of practice to get it right. It is best to get used to them (the quirks) before attempting to set things up in the dark. Another thing about the Polarie which warrants further clarification is what the rotational modes are and when to use them. When we got back from the FirstUse outing in the Spring, we had every intention of doing a series of articles on setting it up and tracking modes, but things got busy and before we know it, Summer was drawing to a close. Fortunately, the folks at Vixen have NOT been as lax 🙂 Over the Summer, they have created some excellent “How To” videos on how to set up and use the Polarie Star Tracker. There is also one which discusses in detail how to use the Polarie and its various tracking modes to create very dramatic panning videos of the night sky. There is now plenty of excellent setup info readily available for the Polarie Star Tracker. So we have decided to dump those planned articles and will instead spend our time in the field to get more experience with the gear. Hopefully we will have some interesting wide-field star-scape images to share by the end of the year. Here’s to clear skies!